This collection of twenty-two challenging and intriguing parable-stories will take you on an adventure journey into the timeless realm of truth, self-discovery and growth. Parables are stories with numerous meanings—two, four, or many more. Once again Edward Hays unlocks a treasury of original parable-stories as traveling companions for those on the spiritual quest. Parables are unique because they are stories with silent spaces, using imaginative symbols to lead us toward answers to the great questions that surround our journey through everyday. Each parable holds hidden insights that point the way to happiness and happily to the Way. 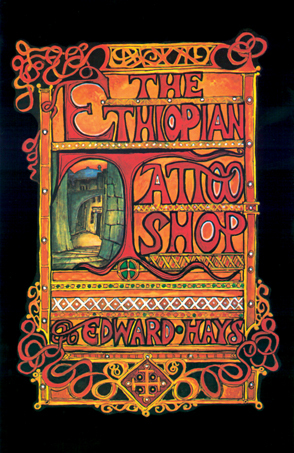 Open the cover and enter the magical world of the story through the door of the Ethiopian Tattoo Shop. Each story is accompanied by a brief interpretation, a key provided by the author which serves as a starting point for your own explorations. Intricately illustrated with a blend of Ethiopian and other ancient art, this book brings together a remarkable blend of beauty and insight.